Im new to bikes so I just want to ask a question. Is it possible to put a road bike handlebars on this bike. And if it is do I have to get a new stem also or just the handlebars? Let's assume that by 'road bars' you mean drop style handlebars. You can replace the bars, but you will also need to find some drop bar brake lever / gear shifter units that work with the existing brake calipers and derailleurs. Looks like someone fitted a riser bar and stem and some inexpensive twist shifters. We can't see if the derailleurs have been replaced as well. If you add info about the derailleurs (or pictures) we can provide more specific advice. A drop bar bike would typically have a longer stem, so you will want to replace the current one. you can choose a stem length to get the riding position you want. Not the answer you're looking for? Browse other questions tagged road-bike handlebars new-rider or ask your own question. Can I put drop handlebars on my commuter bike? Does the diameter difference between road and mountain bike handlebars make some bikes incompatible? Converting my Giant Roam 3 into more of a road bike, while keeping its hybrid identity? Can I put a rack on a carbon road bike? 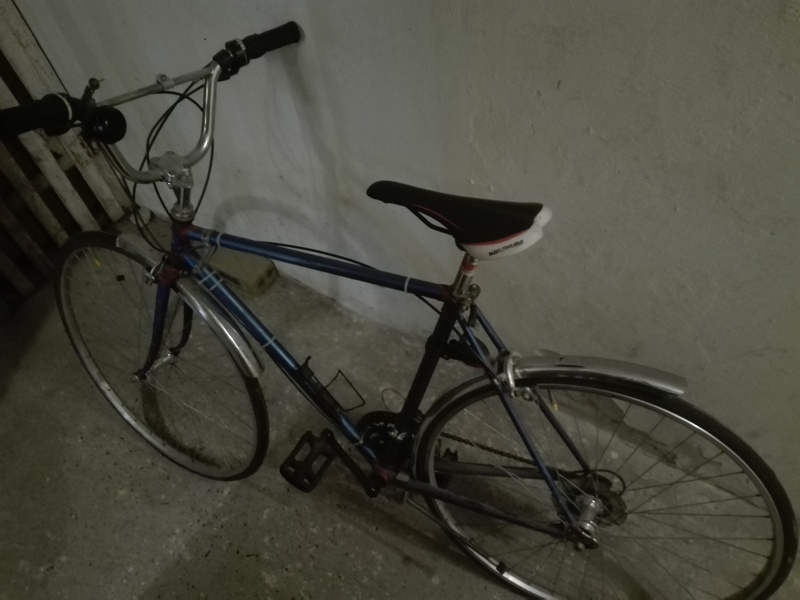 do you think fixie can beat gear/non-fixie bikes?should i buy new bike?